Today was actually a pretty tough one. 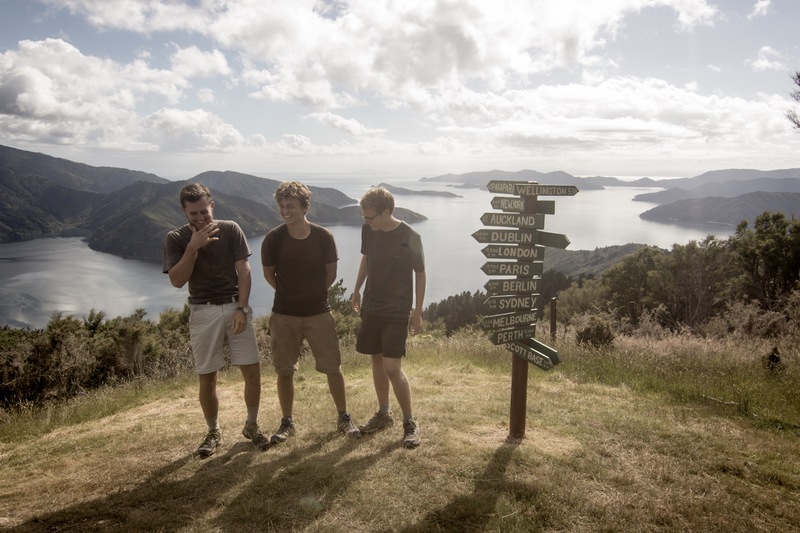 We’d heard so much about how easy a jaunt the Queen Charlotte Track would be, that we were surprised to find plenty of ups and downs that eventually tuckered us out quite a bit. We woke up after a bit of a sleep in at 6:30 AM. We got moving after yet another OSM breakfast (still not tired of them at all but will keep you updated) and immediately got climbing up for a bit. Nothing crazy but the ascent was a nice way to wake up. After the gravel road ascent back to the trail, it was a nice walk/easy ascent up to the first viewpoint of the morning. 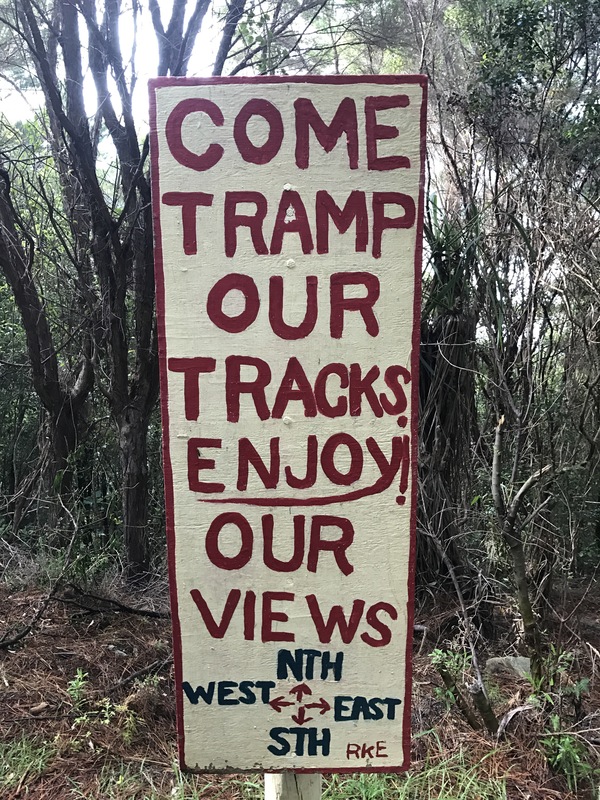 Signs let us know that the upcoming dash up to Eatwell’s lookout would be well worth it. 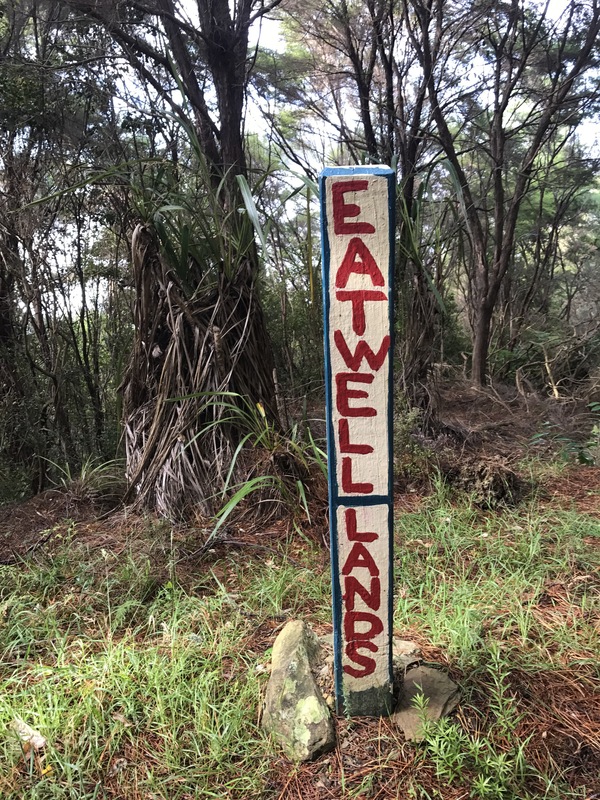 We headed on and when we came upon the turnoff to Eatwell’s, decided all the signage hyping it meant we had to run up and check it out. The sign marks it as a 30 minute return trip, but it took us just over 4 minutes to reach it. Once there we stayed put for quite a while. 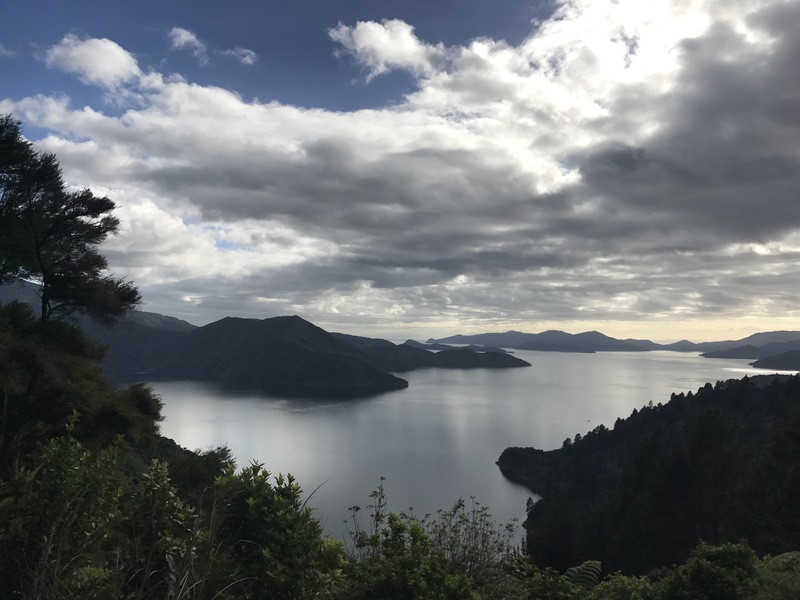 The incredible panoramic views of the sounds combined with the powerful warmth of the sun made it near-impossible to leave. Soon, Calvin appeared at the lookout as well and we hung out up there for a while before we decided to head back down. We carried on walking and decided to try and get to Black Rock Camp for lunch, a standard feat made slightly more difficult by our 45-minute break up on Eatwell’s. 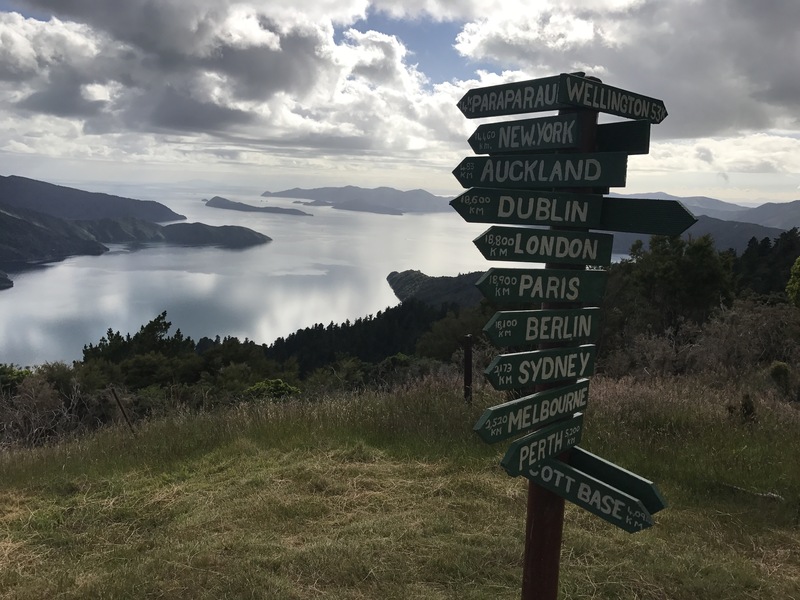 The remainder of the day until lunch was standard Queen Charlotte Track walking, flat on a ridge with occasional dip or climb. We weaved in and out of tree-covered areas, catching occasional awesome views of the surrounding areas. 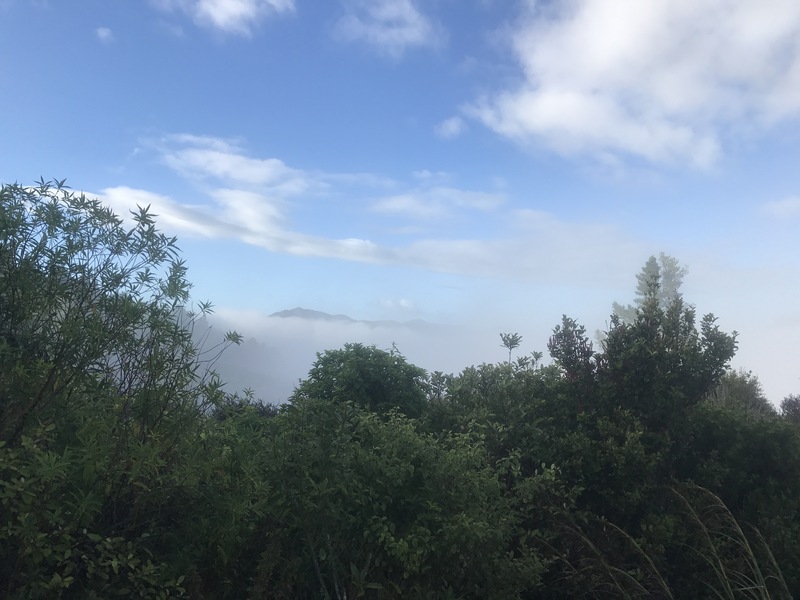 Fog had rolled in to some surrounding hills, leaving just the tops poking above the clouds, and made it look like we may as well have been 2000 meters up, as opposed to just 300. The later final 2 km before we stopped for lunch at Black Rock were a steady ascent, which really boosted our appetites. Lunch as always was cheese and meat wraps with peanut butter and toasted oat scroggin’. With cell service at Black Rock, we called ahead to the Mistletoe Campground (off-trail private campground on the coast) to make sure they had room for our two tents. They sure did. We got going and the remainder of our day was surprisingly difficult. 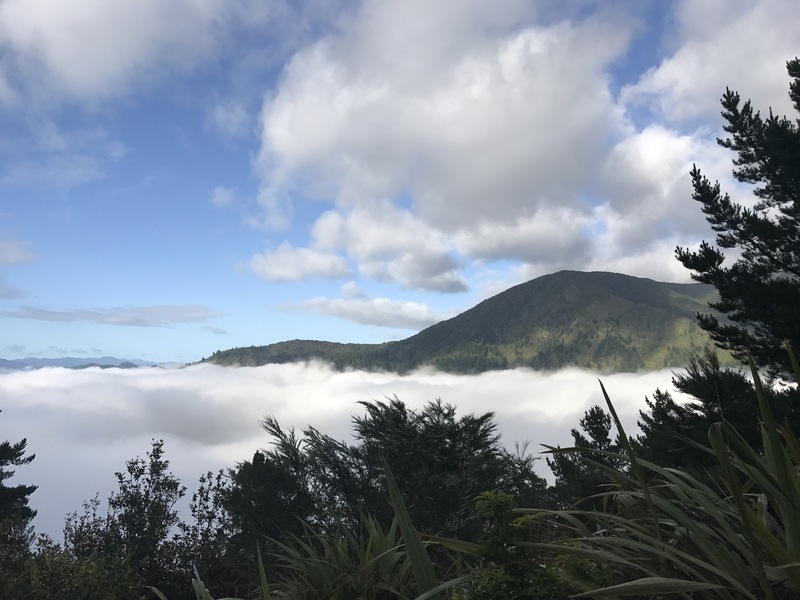 Our short holiday from the trail, combined with the short days we took just before Wellington made the 30 km day up and down hills feel like quite a lot! We walked and talked and the km’s flew by, until the final 5 or so, when things got quite steep. We climbed up the 407 meter peak (which felt like a lot more at the time), but then promptly back down. And then up. And then down. And then back up. 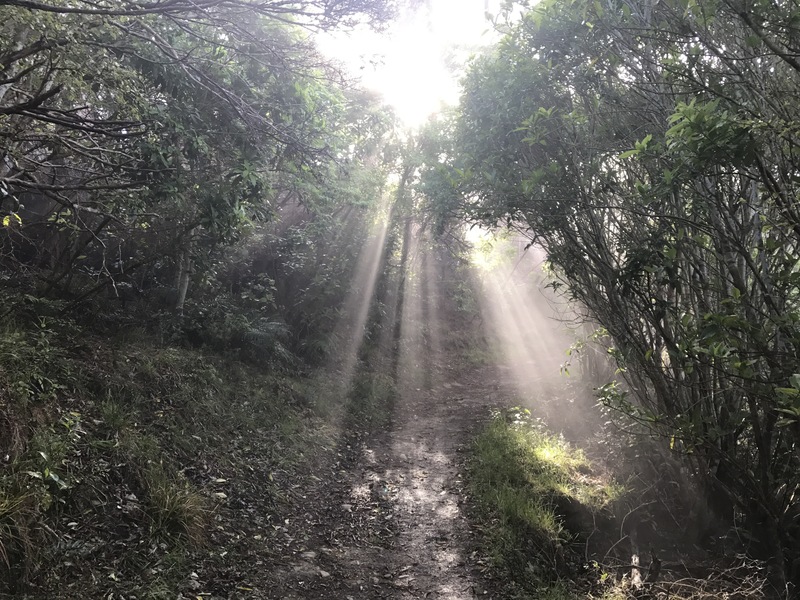 After plenty of that, we arrived at the turnoff to Mistletoe bay, headed down the steep rooty side track, and made it to our home for the evening. Mistletoe Bay Campground is a sweet spot right on the water, with a small shop where we were able to boost our dinner with a can of tuna and diced tomatoes. For dinner we had Cous Cous and curry with dehydrated mushrooms, tuna, tomatoes, and peanut butter. After dinner we sat around and discussed our next few days with Calvin. We’re going to be heading into Nelson to wait up for Shep (he is traveling the South Island with his mom for a bit before continuing the trail) so we can all head into the Richmond Range together. 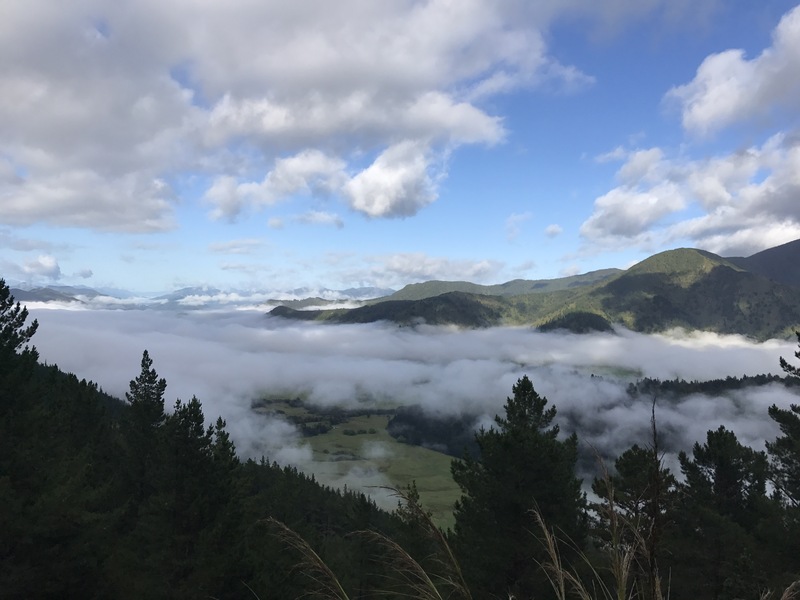 In Nelson, we are thinking about heading up into Kahurangi National Park for a 3-day alpine trip, and hopefully some Canyoning on the Torrent River! On the 11th we’ll head back to Pelorus Bridge where we’ll be meeting Shepard again. Sweet day, nice to feel sore again.